The company's subsidiaries include Best life Vacation, Best life Vandana, Best Life Health. Best Life Adventure Base Camp, Best Life Great Land Development. 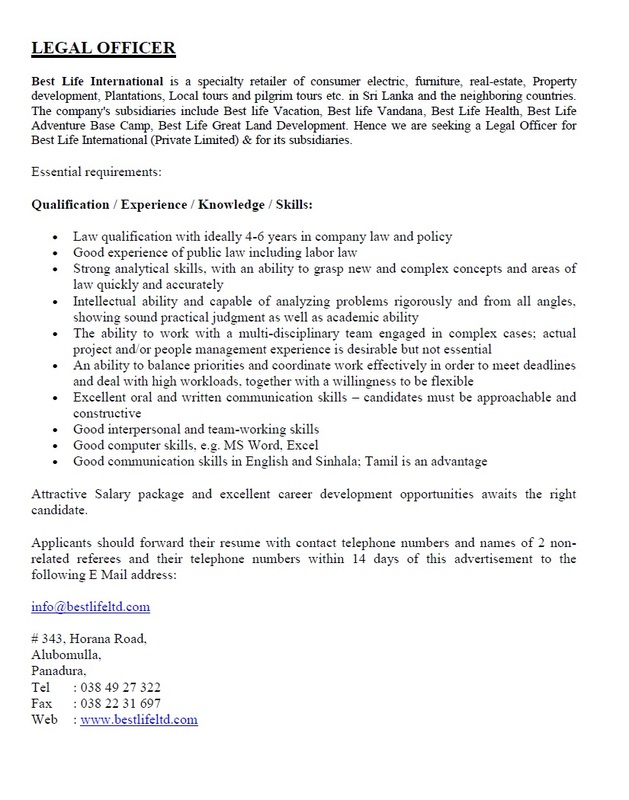 Hence we are seeking a Legal Officer for Best Life International (Private Limited) & for its subsidiaries.